CosmoBC.com » HealthBlog » Health Literacy » 4 Functions of Serotonin – Do You Have Enough? 4 Functions of Serotonin – Do You Have Enough? Serotonin is one of the most mysterious chemicals that nerve cells in the human body use to communicate with one another. It has been associated with many different biological functions that are so important to our health. Despite the fact that it is so important, we don’t completely understand how it works, but there are some things we do know about it, which will be discussed in this article. The scientific research is so strong, in fact, that there are many medicines designed to correct serotonin disorders and there are many natural supplements that include it as an ingredient to help with different kinds of problems. Some of the natural supplements that include serotonin are anti-anxiety supplements, menopause supplements and IBS support supplements. Research and You is a great resource for finding out all the information about the different supplements out there, click here to read more about these supplements. The brain is made up of cells called neurons which communicate with each other by electrical and chemical messages like serotonin, dopamine and noradrenaline. It’s very difficult to pinpoint the exact signal that serotonin sends because it depends on the kind of cell that it interacts with. For example, some of the nerve cells in the brain react to serotonin and are active during sleep. 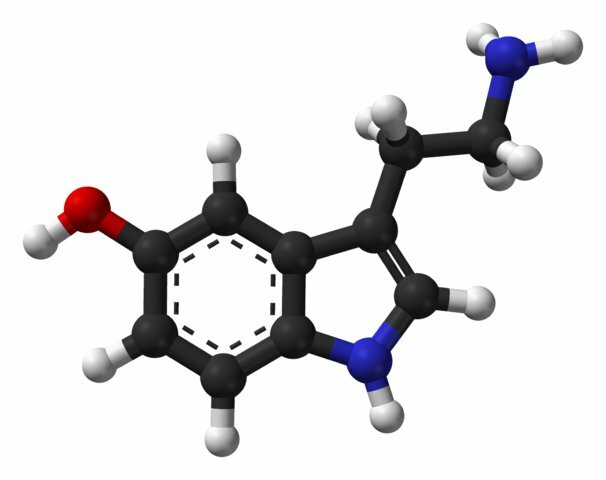 This is what led researchers to understand that serotonin is important for sleep. The same principle applies to the role of serotonin in a person’s appetite. Serotonin reduces a person’s appetite. The role of serotonin in the control of a person’s mood is a lot more complicated but there are several studies that prove the link between taking serotonin and reduced signs of depression or anxiety. Movement and secretions in the gastrointestinal tract are controlled by electrical and chemical messages from nerves as well. Medical researchers have looked at the link between serotonin levels and bowel disorders like Irritable Bowel Syndrome and Crohn’s disease. What the consensus currently is, is that serotonin improves mobility in the small bowel and reduces mobility in the large bowel. It improves the secretions of the relevant intestinal chemicals along the entire bowel. So serotonin is currently used as a treatment for chronic constipation, chronic diarrhea and irritable bowel syndrome. Vomiting and nausea are caused by the stomach releasing serotonin. While this is certainly not a pleasant experience, it is an important biological one, because nausea is actually a warning sign that you have eaten something toxic to your body. What is also important to understand is that doctors often treat nausea by giving an anti-serotonin medication. This might have knock on effects on the other functions of serotonin. In other words, people need to be vigilant when they are prescribed anti-serotonin medication because this medicine can block the good mood affect serotonin has in the brain. One of the most important functions of blood is to change from its liquid state to a solid and jelly state when there is damage to a blood vessel. Even in this function, serotonin is two-faced and mysterious. Depending on how much there is of it, it helps the blood vessels to close and seal off the damage, or it causes the cells in the blood vessel to release a substance called nitric oxide which causes the vessels to open. Experts believe that this is a cleverly timed chemical control of how the blood clots. Despite its mysterious effects, serotonin is so important in human health and a deficiency of it can cause a range of health conditions from mild discomfort, to some seriously dangerous ones. The most obvious signs of serotonin deficiency are low mood and anxiety. As mentioned, medicines that affect serotonin levels might have side effects, and the people taking them must be vigilant. Most natural supplements contain the chemical predecessor of serotonin called 5-HTP. This in part allows the body to control the levels of serotonin, so there have not been any side effects reported with the use of 5-HTP. The body produces serotonin naturally, so not everyone needs an outside source. For those who do need, there is no daily value established because everyone’s response to serotonin is different. So really, the best serotonin advice to offer is to watch out for symptoms of the deficiency and then speak to your doctor if you want to go the medical route; or try some natural remedies.